Machine Production Plant started its activity at the beginning of 2000 in Skawina, near Cracow. 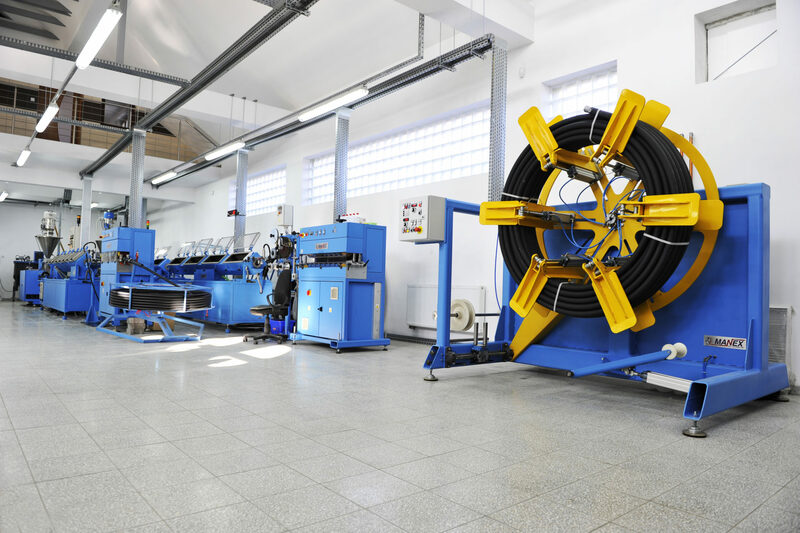 Plant personnel came from the Cracow Cable and Cable Machines Company, thus having the long experience in the scope of designing, construction and maintenance of various machines used for plastics processing. Machine Production Plant in Skawina offers designing, construction and production of machines and equipment, production lines as well as control systems for machines and production lines used in plastics processing, including cable, automotive, medical and other industries. The Skawina Plant renders also maintenance, assembly and commissioning services for production lines. Machine Production Plant in Skawina, as an integral part of MANEX Ltd., closely cooperates with world-recognized producers of extruding and drawing lines (Niehoff) and also with leading producers of measuring and control equipment. MANEX have frequently executed to the order of these companies maintenance and commissioning works of their production lines in many countries. The employees of MANEX hold certificates of such leading producers of cable machines like: Nokia-Maillefer, Niehoff, Reinfenhauser. They have also been trained in the scope of programming of PLCs and converter fed induction motor drives produced by GE-Fanuc, Siemens, Alen-Bradley, Lenze, Euro-Drive, Omron and many other. The capability of construction of production lines for our own needs in our Machine Production Plant in Skawina allows MANEX to be flexible and quick in responding to technological requirements of our customers. It is worth mentioning that our machines are every year presented on the PLASTPOL International Fair in Kielce, Poland.